Posted by Becky on 11th July 2016. Based in Monaco’s Grimaldi Forum, the pop-up Pantone Café is back for its second summer. 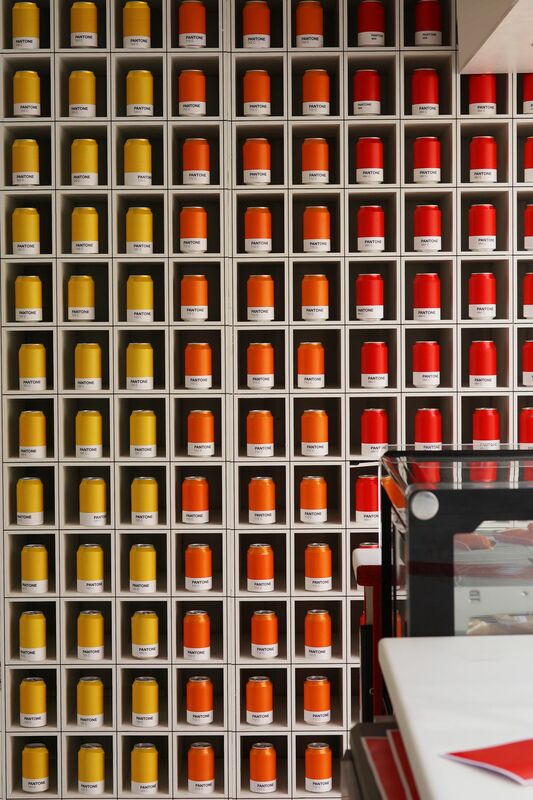 The café is a feast for the eyes – and your insides – bringing more than a bit of colour to the French Riviera. 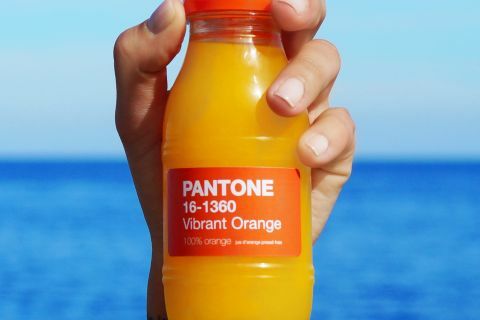 Pantone, a standardised colour matching system created by Lawrence Herbert in 1960, utilises a numbering system for identifying colours. 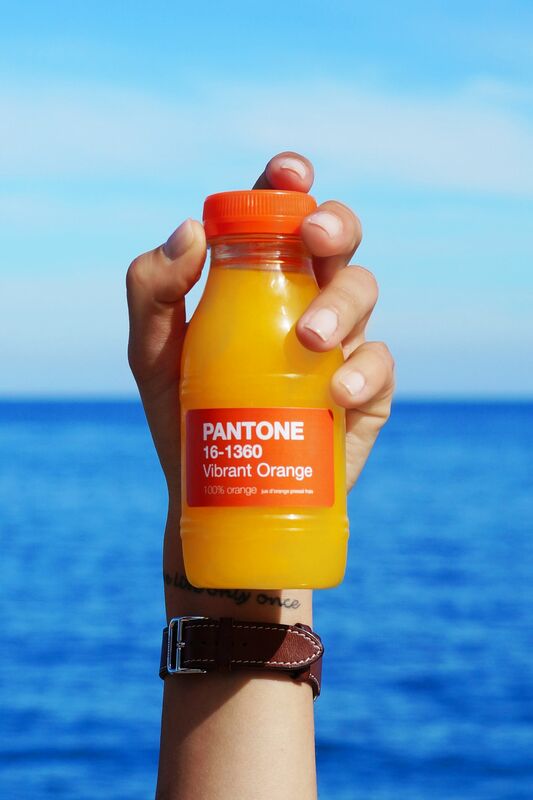 While it wasn’t the first colour-standards language, it’s undoubtedly the most well-known. 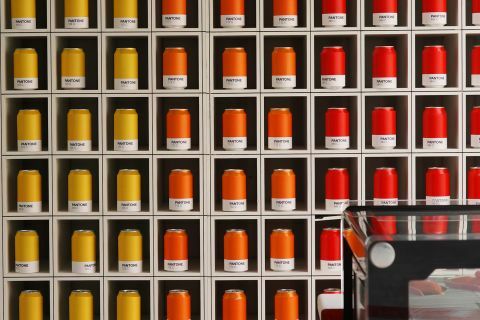 And since the early 2000s the system has morphed into a global design force with its Colour of the Year, Brussels Hotel, iOS keyboard, homeware including teapots, mugs and milk jugs, and numerous other products and offerings – as well as, of course, the Pantone Café. 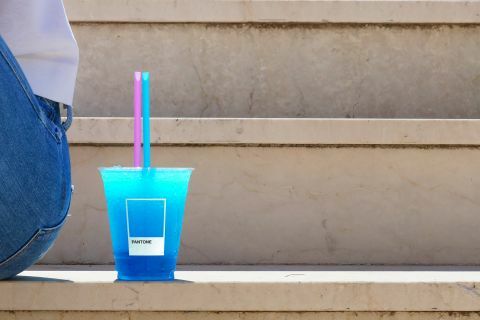 Over at the café, the colour-coded menu sees each food item represented by one of the brand’s signature hues, giving us the opportunity to taste what we see. And the striking colour palette makes for some delicious looking patisserie and ice creams, including Pistachio Green (Pantone 13-0221) and Strawberry Pink (Pantone 16-1731) eclairs, Croissants (Pantone 16-0924), and Chocolate Brown (Pantone 19-1625) and Golden Mango (Pantone 17-1446) ice cream. 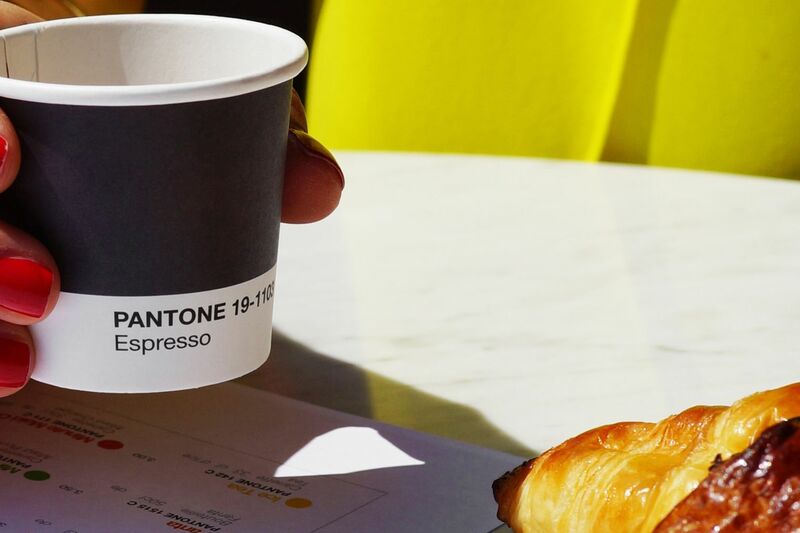 Savoury items include a Parma Brown (Pantone 18-1531) sandwich and Salad Green (Pantone 15-5534), while you can get Coffee Espresso (Pantone 19-1103), Heineken Green (Pantone 17-6153) and Sparkling Blue Water (Pantone 16-4525) if you’re feeling thirsty. 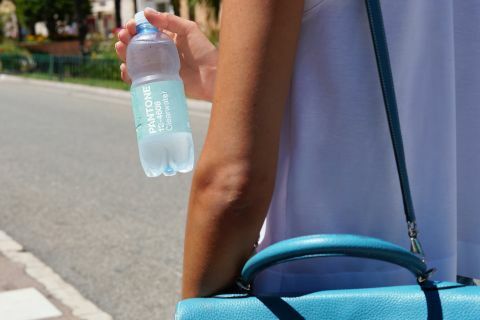 As well as looking good, it all tastes good. 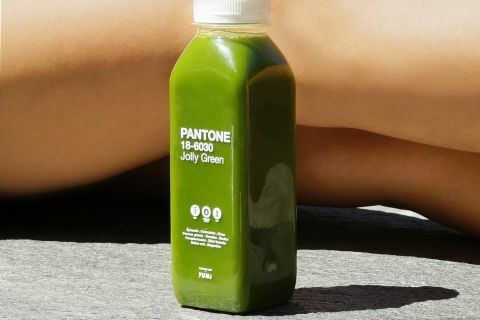 The café has collaborated YUMI, who produce cold-pressed fresh fruit and vegetable juices for a range of drinks, including Apple Cucumber Green (Pantone 15-0543), Strawberry & Pineapple Ice (Pantone 16-1720) and Grapefruit Rose (Pantone 16-1349). 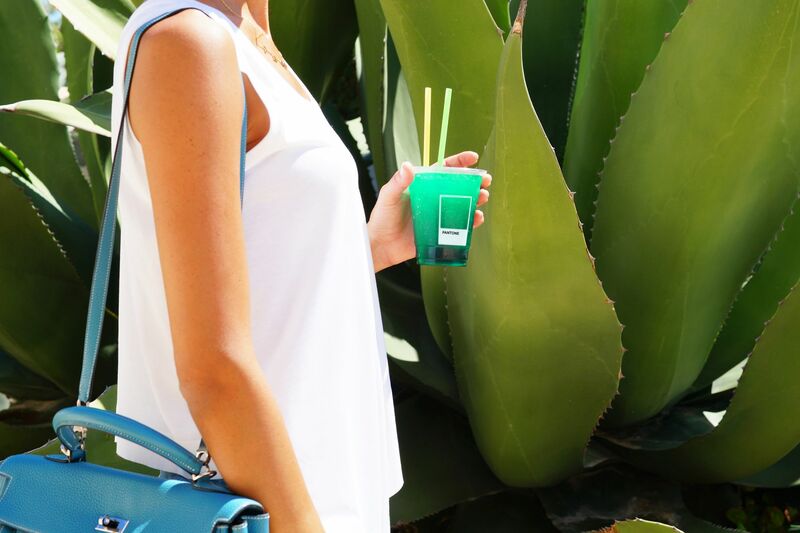 In addition to the menu, playful tones are applied to folding chairs, food trays and napkins. 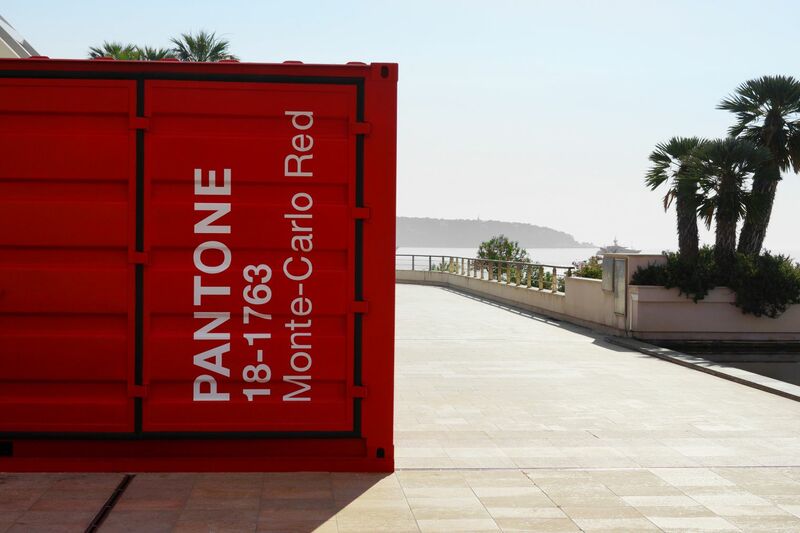 While the façade even has a colour all of its own, Pantone 18-1764, known, appropriately enough, as Monte Carlo Red. The Pantone Café will be around until 9th September, so you’ve the whole summer to discover what your favourite Pantone colours taste like. © Copyright Winter Design Ltd 2014-2019, all rights reserved.